Filtr o barwie zielonej do pojazdów sił NATO malowanych w odcieniach zieleni. Attending numerous requests from our customers, we will finally release separately our range of filters. 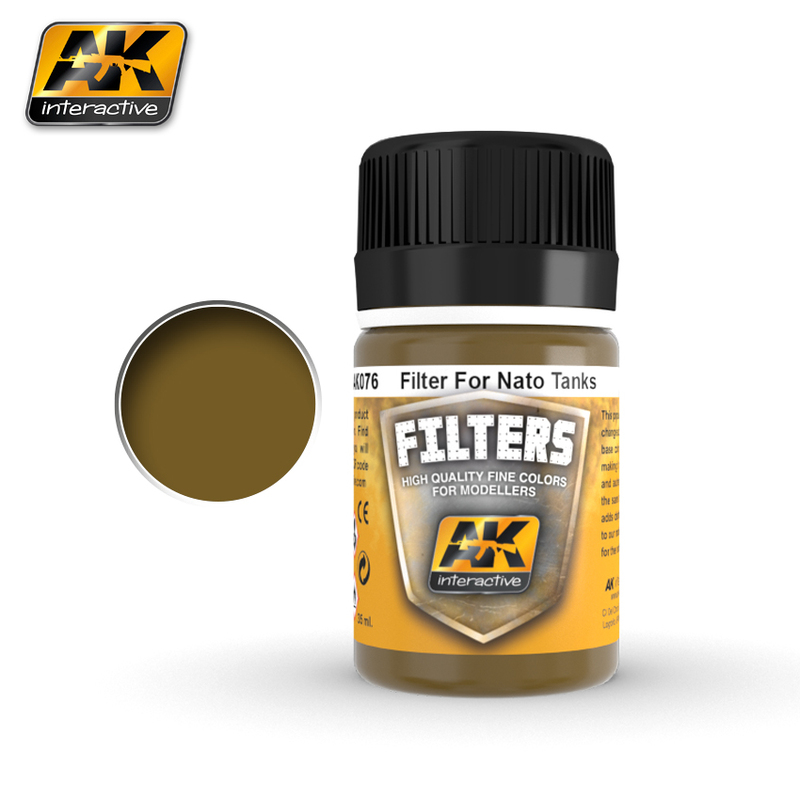 This product allows us to change subtly the tone of base color of our vehicle making it a more accurate and authentic colour. At the same time the filter adds depth and richness to our vehicle, preparing it for the next paint steps. Developed and tested by Mig Jimenez.